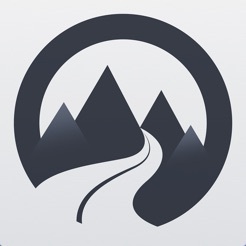 Open Road is the one driving app for your iPhone. One tap music, one tap navigation and one tap calling. Enjoy driving more. Open Road does not use advertising or in app purchases. You get access to all premium features for the store price. Open Road allows you to stay focused on the road by giving easy access to navigation, music and contacts. It offers a safer and easier driving experience to do the things you want to do in the car, and it can be used in any car. 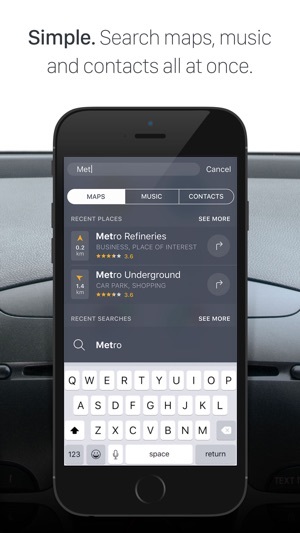 The beauty of Open Road is the ability to add one tap shortcuts to Playlists, Contacts, Locations, Map Searches, and your favorite driving apps that are already on your device. 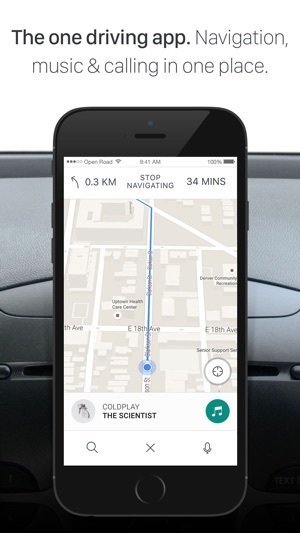 You also get one unified experience for driving directions & music. Finally! Open Road has it’s own turn-by-turn navigation (IAP) or you can use your external navigation apps, like Google Maps and Waze. 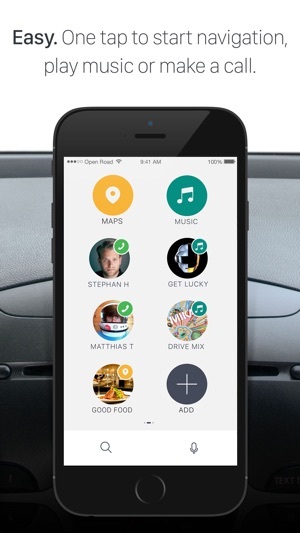 The Open Road music player plays music from your existing Spotify or iTunes Music library. 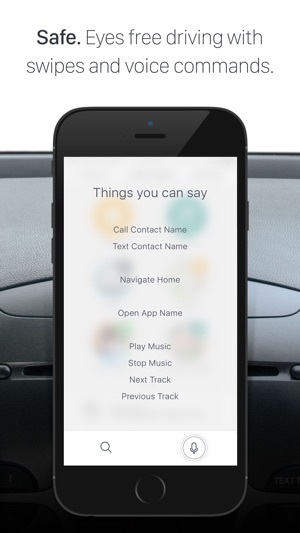 Open Road also accepts Voice Commands for eyes free driving and offers a Global Search button fixed on every screen so that you can quickly search maps, music and contacts. Once you have set up Open Road with your locations, contacts, playlists, and apps you will instantly benefit from fast access to everything you do while driving. The app utilizes a combination of clean design, large buttons and one touch Interactions to let you use your phone screen as little as possible. It works especially well when you have a car mount or car dock on your dashboard. 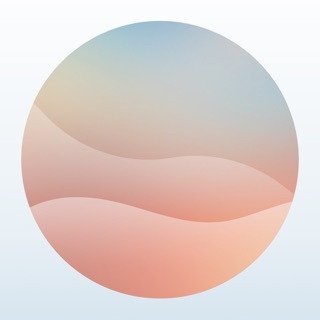 • 1-Touch Interactions - Single taps and swipes to control music, maps, navigation, and calling. 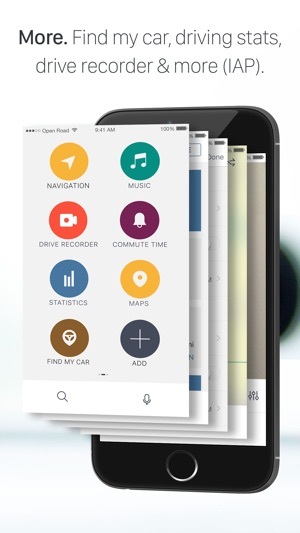 • Multi-function Apps - Navigation and Music are meant to be a unified experience in the car. 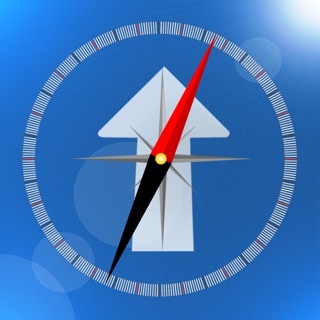 • Driving Shortcuts - Create shortcuts to your Playlists, Contacts, Locations, Map Searches etc. • Safety - no more interacting between multiple apps or tapping through deep menus to do things in the car. Tap once for music, once for navigation and once for calling. We’re continually updating new features to Open Road. Please join our Facebook community if you have any feedback or questions, we would love to hear from you! Here is the link: https://facebook.com/theopenroadapp. Please Note: Open Road uses GPS in the background to provide turn-by-turn navigation directions. Continued use of GPS running in the background can dramatically decrease battery life. Love the app! It has very good map and music integration the ui is clean, easy to navigate, and attractive. I'm giving four stars only because it has to missing features that are important to most drivers, landscape mode which most people use when driving, and a night mode that uses a dark ui so the phone screen does not blind you at night (for safety reasons). If these features are implemented, I will change my rating to five stars. Good job guys! Always active location tracking is a deal breaker for IOS. I don't know if you expect to sell our location data in Addition to the cost of the app but this is B S. There needs to be a way to toggle "Only While Using". Even Google Maps, GOOGLE MAPS allows for "Only While Using". Why should I use my data and battery while you track me for no reason? 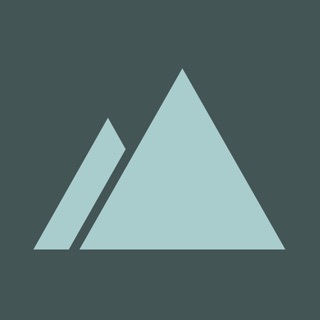 The app's marketing is beautiful, but wish the app matched. You currently can't use the app with your phone in horizontal orientation, which is the most common way I use GPS app's. The map app is hard to use. Waze exaggerates their UI but its much more glancable. I find myself squinting at the Open Road Map a lot.